As the cover suggests, this Gospel is perfect for sharing with anyone who is curious about the significance of the Bible. Whether skeptic or believer, this cover, created in partnership with the Historical Bible Society, is sure to encourage a renewed interest in the reading of God's Word. 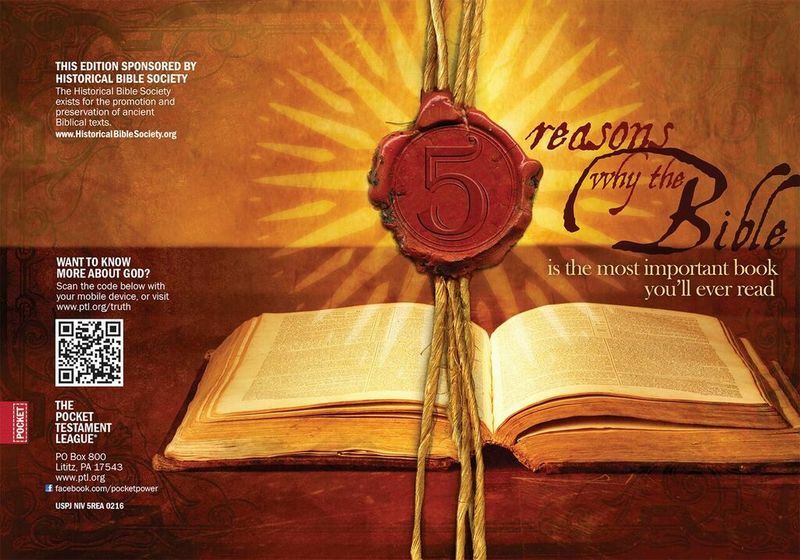 The inside cover details 5 reasons why the Bible is the most important book you'll ever read and offers links to a video where the recipient can learn more.